The story was first reported by ABC News' Jake Tapper. Palin, the 2008 Republican vice presidential nominee, told Tapper about the alleged cyberattacks in an e-mail. Previously, Palin criticized WikiLeaks founder Julian Assange, calling him "an anti-American operative with blood on his hands." On Wednesday, Palin wrote to Tapper that hackers in London tried to shut down the website for SarahPAC, Palin's political action committee; however, a CBSNews.com producer was able to access the site without problem Wednesday evening. 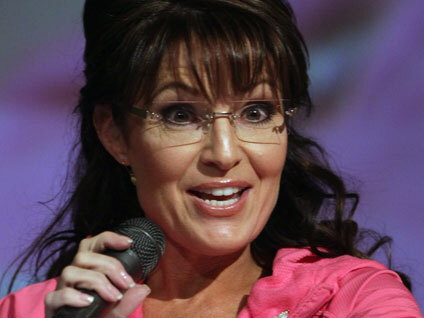 Tapper reported that Palin said the personal credit card accounts for her and her husband Todd Palin were "disrupted." "No wonder others are keeping silent about Assange's antics," Palin wrote in her e-mail to Tapper. "This is what happens when you exercise the First Amendment and speak against his sick, un-American espionage efforts." Throughout the day Wednesday, so-called "hacktivists" claimed responsibility for causing severe technological problems for credit card companies MasterCard and Visa after they stopped collecting donations for WikiLeaks.